What little boy does not like superheros? Regardless of whether you buy into the Licensed characters or go for the generic man in a cape figure, the 3 boys in this house are all over it. My middle guy had a thing for Batman but the reigning superhero fanatic in the house these days is my youngest. His current favorite? Spiderman. The 3 year old has been begging for a superhero themed room since our move, so I thought Christmas would be the best time to deck it out. The superhero quilt has been on the back burner for years now but I thought I could handle a few pillows to get the ball rolling. To make your own Spiderman pillow grab a pre-packaged pillow case, some wool felt and your trusty machine. Cut four tear drop shapes from black and white felt (2 of each). You can pin them to the center front of your pillowcase, being careful to pin only the top layer. This would be the lazy women’s way. Or for added placement confiendence, go the applique route and iron a layer of Wonder Under (double sided fusible interfacing) to each and layer together fusing as you go. Sew around each layer attaching it to the top of the pillowcase, using a zigzag or satin stitch. Draw on the webbing lines with a fabric marker (you’ll want to put a layer of card stock or wax paper between so the marker doesn’t run through). You can further embellish by writing the webbed crime fighter’s name on the edge or if you’re really motivated, machine embroider it. And there you have another super quick gift sure to please any little boy in your life. 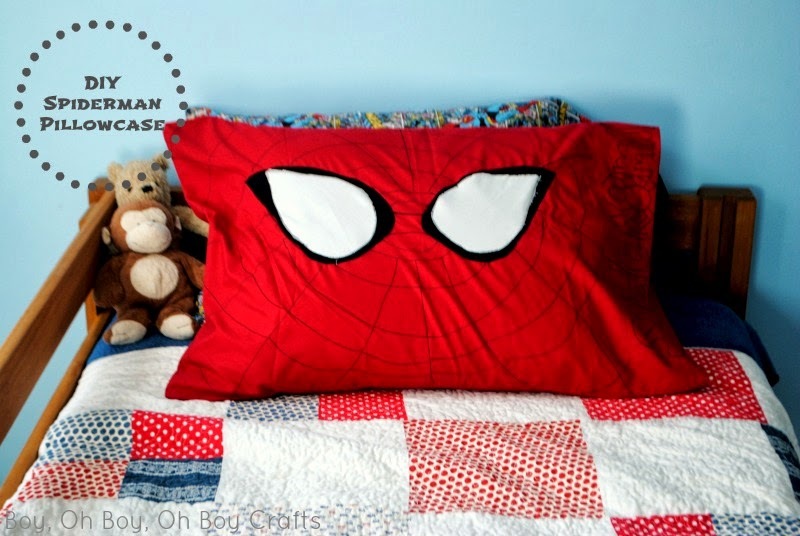 Since my little one tend to change his favorite superhero as often as his mommy changes sheets, I’ll be on the lookout for other pillow case colors. We’re sure to need a Hulk, Batman, Captain America, or Iron Man version in the very near future. If you haven’t entered the first two giveaways, be sure to head over here and here. 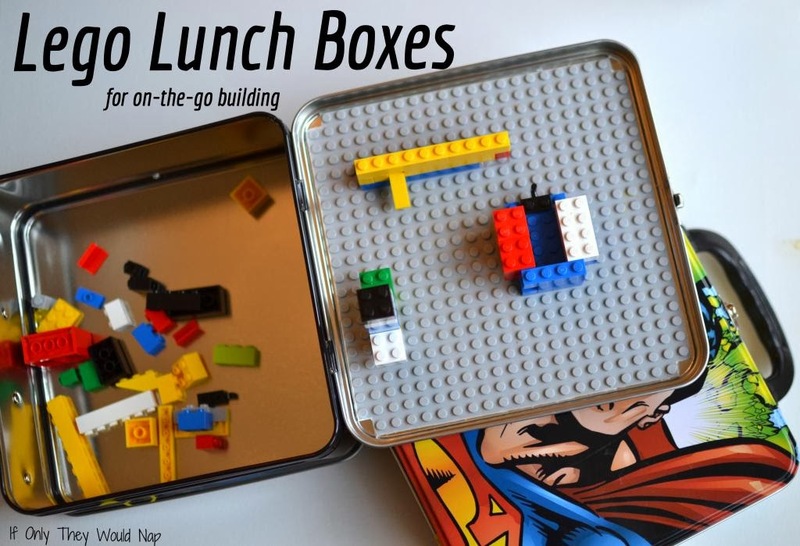 Then head on over to If Only They Would Nap for Jess’ tutorial and today’s fun giveaway! So cute and we just did a Superhero room for my little guy, this would make his day.